Jonathan Allen, Reuters Posted at May 12 2017 07:01 AM NEW YORK - New York City public defenders on Thursday criticized a proposal by Mayor Bill de Blasio to deny free legal counsel to immigrants in deportation hearings if they had been convicted of serious crimes in the past, saying the plan would deny them due process. 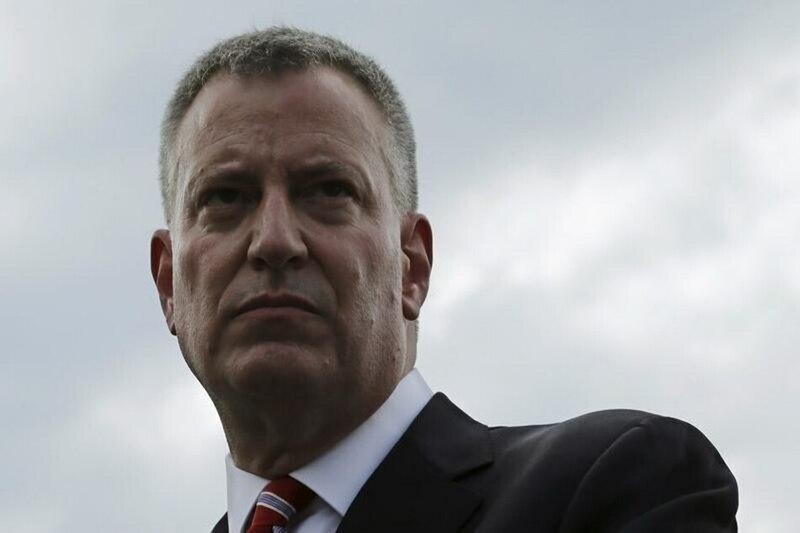 In his proposed annual budget, De Blasio allocated $16.4 million to legal services for immigrant New Yorkers, citing concern about U.S. President Donald Trump's crackdown on immigrants living in the country illegally. Lawyers, local lawmakers and civil rights activists welcomed the funding proposal, which sharply increases legal aid for immigrants. But they gathered on the steps of City Hall to criticize a provision they said would unfairly deprive some people of the right to due process under the law. De Blasio's proposal would deny city-funded lawyers to immigrants previously convicted of one of 170 crimes that the city considers serious or violent. Jennifer Friedman, who runs the immigration practice at Bronx Defenders, said the mayor's plan would create a "two-tier system that treats people different based on their criminal history." The funding be in addition to the New York Immigrant Family Unity Project (NYIFUP), which has been funded by the City Council since 2013 and provides free lawyers to immigrants facing deportation hearings at the federal immigration court. In the United States, the right to a lawyer does not extend to federal immigration hearings which are civil, not criminal, proceedings. The plan contradicted de Blasio's description of New York as a "sanctuary city" for immigrants, the public defenders said. Seth Stein, a City Hall spokesman, wrote in an email that "the public should not be expected to foot the bill" for immigrants convicted of dangerous crimes. "The vast majority of immigrants have not been convicted of violent crimes," he wrote. More than 2,000 immigrants have received free lawyers under the council-funded program, which provides free lawyers regardless of an immigrant's criminal record, in the four years since it began, Legal Aid said. In New York City, immigrants without lawyers managed to overturn a removal order in court only 3 percent of the time, while those with lawyers were able to remain in the country 30 percent of the time, Legal Aid said.